While Twins 2018 draft pick Michael Helman is just 22-years-old, baseball has kept him on the move in recent years. The infielder from Lincoln, Nebraska, has played in Hutchinson (Kansas), College Station (Texas), Elizabethton (Tennessee), and Cedar Rapids (Iowa). And, he just completed his first camp in Ft. Myers (Florida). 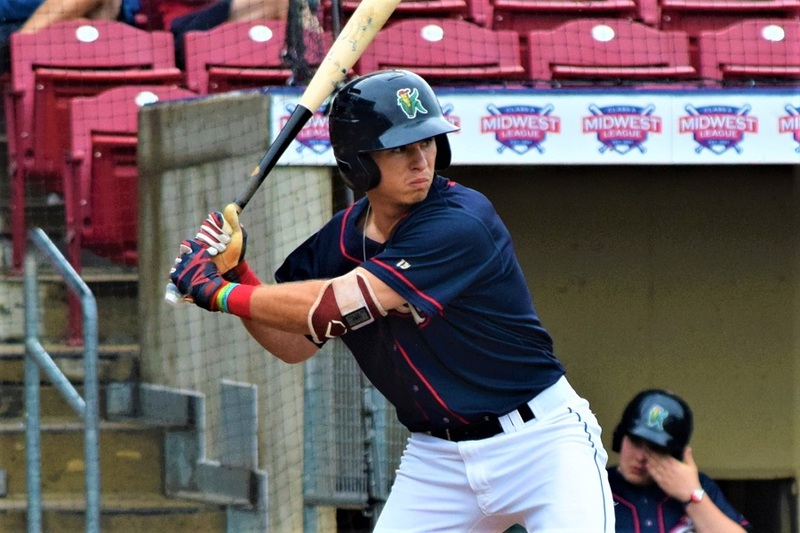 Recently, Twins Daily caught up with the talented second base prospect and 11th round pick in 2018. Get to know a little more about him on and off the field. Michael Helman was born 22 years ago in Lincoln, Nebraska. While football is life in Lincoln (yes, even now), baseball was the sport for Helman. While he did play basketball and football, once he got to high school, it was all baseball all the time. But that started when he was young. In Lincoln, most baseball fans are Kansas City Royals fans. It is the nearest MLB team to the city, but also the Royals’ Triple-A affiliate is in Omaha. Helman was a Royals fan, but not solely a Royals fan. Helman went to Lincoln’s Pius X High School. Baseball in Lincoln may not be as strong as in Omaha, but there have been several players to go to Division I schools and more playing at Division II schools, or other colleges. Upon graduation from high school, Helman made the decision to head south and play baseball at Hutchinson Community College in Hutchinson, Kansas. Despite a solid career in high school, Helman found himself without any college offers. Whatever the reason, Helman took full advantage of the opportunity presented to him. As a freshman, he hit .416/.473/.654 (1.127) with 20 doubles and nine home runs in 57 games. The next year, he played 60 games and hit .487/.567/.829 (1.329) with 17 doubles and 17 home runs.In addition, he walked 34 times and struck out just 13 times that season. Despite such gaudy numbers, Helman went undrafted. Scouts were there to watch his teammate, pitcher Nolan Hoffman. He filled out the questionnaires and sat down with scouts, but nothing too major. During the draft, he did receive some phone calls, but by then he was pretty set on going to Texas A&M. He had several Division I offers, but he knew he wanted to play for the Aggies. A fellow Lincoln native Logan Foster was heading there, and so was Hutchinson teammate Nolan Hoffman (who was drafted in the fifth round by the Mariners in 2018). In addition, one of Texas A&M coaches had gone to high school at Lincoln Southeast High School and the University of Nebraska. That coach is Jeff Christy who was the sixth-round pick of the Minnesota Twins in 2006. He played in the Twins organization through the 2009 season and reached the Triple-A level. His junior, and sole, season, at Texas A&M, Helman played in 61 games. He hit .369/.452/.520 (.972) with 15 doubles and six home runs. Greg Runser is the Twins area scout for southeast Texas and Louisiana. He was in occasional contact with Helman. But there were several other teams that expressed interest as well. Helman fell to the 11th round, and the Twins were thrilled to take him with the first pick of the third day. Michael Helman was anxiously waiting to hear his name in the Major League Baseball Draft when he soon noticed an abnormal amount of activity on one of his social media accounts Wednesday. 'Congratulations, you're going to be drafted by the Minnesota Twins.'" The Twins sent Helman to Elizabethton to begin his career. He was excited to get going. He thought that the time in Elizabethton was beneficial just in terms of getting back into the proverbial swing of things. It didn’t take him long to adjust at all. He played just twelve games and got just 40 at-bats in Tennessee. He hit .375 (1.010 OPS) with a triple and two home runs. In early August, Helman was surprised that he was promoted to Cedar Rapids. He made an assumption that he would spend the remainder of the season in E-Town. It’s not unusual for college players to play every other day in Elizabethton as they re-adjust to playing after time off between their college season, the draft and signing. But once he got to the Kernels, he was in the lineup almost every day. And, he had fans in the stands. Soon after, the Kernels had four members of the 2018 Twins draft on its roster. 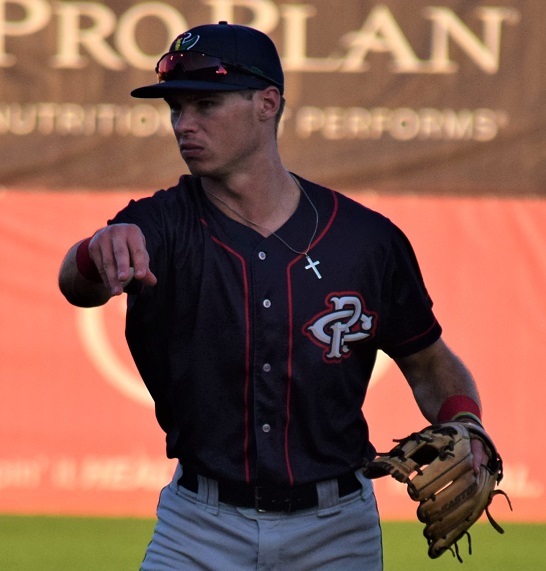 First-round pick Trevor Larnach played right field most days. Second-round pick Ryan Jeffers split time catching and at DH. Helman played second base, and 25th-round pick Michael Davis played shortstop. All four found success and helped push the team forward as they prepared for the Midwest League playoffs. The four players fit in and got to know each other. Helman contributed strongly in the middle of the lineup. In his 27 games with the Kernels, he hit .355/.398/.486 (.884) with six double and two home runs. How about power? Could he add some power to his game? Defensively, he has primarily played second base the last few years, and it is a position at which he is continuing to gain confidence. Away from the game, you won’t be surprised to read one of his favorite things to do. “I play Fortnite with my roommates. I love playing Fortnite. He will spend a large part of his offseason back at College Station. Winter in Texas is generally a bit warmer than in Lincoln. He’ll be able to play catch outside, take ground balls and hit on the field. But he will head back home to Nebraska a few times during the offseason. Helman just returned from his first Instructional League. Now he’ll enjoy his first offseason as a professional baseball player. He’ll work out for baseball, and he’ll play a lot of Fortnite. Correct me if I am wrong, but his .355 average at Cedar Rapids was his lowest batting average since high school?And those numbers at Hutch are just plain sick! Could also be Davis, but this kid has to be considered the most pleasant surprise from this year's draft.Will he begin next year back in Iowa?Or do you think he could begin with the Miracle? Pretty amazing numbers at every level. How is it that he didn't get more love in college recruiting or in the draft? Is there something that scouts wouldn't have liked? You forget that draftees don't play ball everyday, which is what the low minors is all about. Then working on a schedule of food, sleep, fitness and playas you build up stamina and face increased competition at each level. Good piece. Interesting article about an interesting player. Did his signing have any relationship to Larnach signing for less money? Great article, and this kid sounds like a great kid with a lot of talent and potential. There were several players signing well under slot, including Larnach, Jeffers and Williams, the #8 pick.That money was then used to go over slot for the three high school kids and others, including Keirsey, Sands and Helman. Yeah, they just all had to wait until Larnach signed. Once he signed, they could go to Sands and Mack and get them taken care of, which also happened on that last day. My guess is that Helman was willing to sign for whatever was still available. Working the draft signings is a science. I'm embarrassed to say it, but I didn't realize he was from Lincoln, just 45 miles down the road from Omaha. Boy did the Huskers, and a lot of teams, really miss out on this kid. I was really glad he signed but was initially worried he might be a tough sign at the 11 spot, coming off a strong season. What is interesting to me, aluminum bat notwithstanding, is it seems there is some power potential based on his judo numbers. While returning to school for his senior season could have hurt his draft leverage, I have to wonder if he might have put up an even bigger senior season number wise. We might have gotten him at just the right time. Seth, if you get this, in your opinion, did we really get a couple of steals with Helman and Davis? It sure appears we did. Or is this a case where Davis is a SS for now, but will end up moving to 2B to compete with Helman?